The American Ceramic Society recently selected chemistry professor Alexandra Navrotsky, interim dean of the Division of Mathematical and Physical Sciences. to receive the society's highest honor: the W. David Kingery Award in recognition of distinguished lifetime achievements and global contributions to ceramic science, technology, education and art. A Distinguished Professor of ceramic, earth and environmental materials chemistry, Navrotsky holds the Edward Roessler Chair in Mathematical and Physical Sciences, and directs the Nanomaterials in the Environment, Agriculture and Technology, or NEAT, Organized Research Unit. 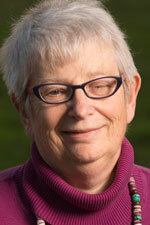 She has made significant contributions to a wide range of ceramics research, including mineral thermodynamics, ceramics processing and measuring high-temperature chemical reactions. The Sacramento chapter of La Raza Lawyers has a new name: the Cruz Reynoso Bar Association, honoring the UC Davis emeritus professor, internationally recognized civil rights leader and former California Supreme Court associate justice. 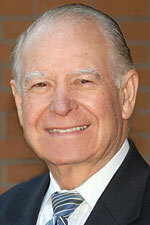 Reynoso helped found La Raza Lawyers four decades ago, and it has become California’s foremost Latino Bar association. The Sacramento chapter held a name-change celebration March 30 at Sacramento City Hall. “More than 170 lawyers, judges, elected officials and community leaders had come to honor Justice Cruz Reynoso, who changed the destiny of thousands of Mexican immigrants throughout California and the nation,” The Sacramento Bee reported in its coverage. Reynoso received national recognition during the 1960s for his groundbreaking work as director of California Rural Legal Assistance, a nonprofit organization serving migrant laborers and the rural poor. He went on to teach law at the University of New Mexico before returning to California in 1976 to accept an appointment as a judge on the 3rd District Court of Appeal. He took a seat on the state Supreme Court in 1982, appointed by Gov. Jerry Brown. He was the first Latino judge at the appellate and Supreme Court levels of the state justice system. He subsequently returned to teaching — at UCLA and, since 2001, at UC Davis — and has continued to work as an advocate for social justice in various roles, including service as a member of the U.S. Commission on Civil Rights from 1993 to 2004. He is the recipient of countless awards, including the nation's highest civilian honor, the Presidential Medal of Freedom. The School of Law has established the Cruz and Jeannene Reynoso Scholarship for Legal Access to help students with financial needs. Edwin Lewis recently received the 2016 Integrated Pest Management Excellence Award from the Pacific Branch, Entomological Society of America. 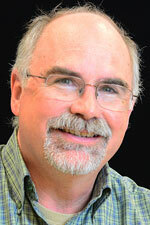 Lewis serves as associate dean for agricultural sciences in the College of Agricultural and Environmental Sciences; he a professor in the Department of Entomology and Nematology (and former vice chair of the department). Lewis is recognized as a global leader in using nematodes as biological agents, said nematologist Steve Nadler, professor and chair of the Department of Entomology and Nematology. The award presentation took place in Honolulu, during the Pacific Branch’s 100th annual meeting. The branch comprises California, Alaska, Arizona, Hawaii, Idaho, Montana, Nevada, Oregon, Utah, Washington and Wyoming, parts of Canada and Mexico, and seven U.S. territories. The American Mosquito Control Association recently presented its Meritorious Service Award to William Reisen, who served as director of the UC Davis-based Center for Vectorborne Diseases from 2009 until his retirement in 2014. Reisen, an emeritus researcher in the Department of Pathology, Microbiology and Immunology, School of Veterinary Medicine, has published more than 300 peer-reviewed publications and book chapters in the field of medical entomology. Working closely with the Mosquito and Vector Control Association of California and the California Department of Public Health, Reisen was instrumental in molding the state’s arbovirus surveillance, reporting and data management processes into an effective decision-support system for intervention. The Mosquito and Vector Control Association of California gave its Meritorious Service Award to Reisin last year. Bob Eernisse, retired manager of Fleet Services, is turning to a different kind of fleet for his ride in the Picnic Day Parade this Saturday (April 16): As outstanding retiree for 2016, as named by UC Davis Retirees Association, he will ride in a horse-drawn carriage. 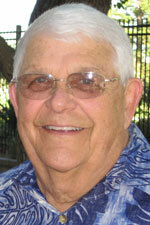 Eernisse joined UC Davis in 1964, working at the School of Veterinary Medicine. He was named Fleet Services manager in 1982 and held that post until his retirement in 1993. 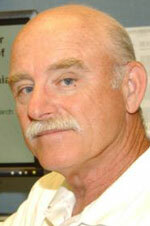 He has served twice as president of the Retirees Association board of directors (1998-99 and 2002-03). As a member of the board, he played a major role in the evolution of the Retiree Center from concept to reality. While a board member, he represented the Davis campus on the Council of University of California Retiree Associations, or CUCRA, which works with the UC Office of the President on retiree benefits and related issues. He served as the council’s treasurer. Eernisse is a member of the Davis Police Department’s Community Advisory Board and served for many years on the Yolo Hospice finance committee.